Would you rather get the wrong item on time or get the right item late? HJI partners with you to eliminate this type of decision for your customers, because we believe you should never have to choose between quality and timeliness. Contract Packaging involves assembling packages to clients’ specifications with great attention to detail. HJI provides turnkey packaging solutions to increase your productivity and profitability. 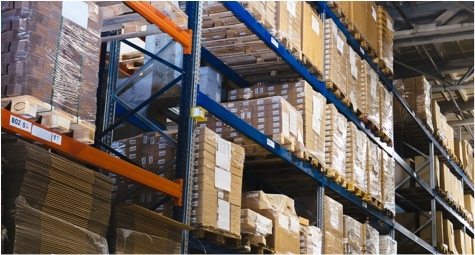 We also offer an array of warehousing and fulfillment services and state-of-the-art warehousing space. Our goal is to deliver high quality service and competitive costs with the most accurate and rapid delivery possible. Everyone’s doing business online, and you can sell anything to anyone at anytime from anywhere. Whew! That means you are likely collecting data and orders from multiple platforms and separating your partners into retail and consumer categories. Again, why choose? We work with our clients to build a customized solution where inventory can be in the same place. Sounds fun and makes our fingers cringe but not for our clients. Easy platforms that are user-friendly to eliminate errors. Our system is scalable and flexible and helps to boost productivity, reduce costs, shorten order fulfillment times, increase customer satisfaction and deliver rapid return on investment (ROI). You have a vision to make the perfect gift set with all the right items to standout in the marketplace. You’ve done the hard part creatively, let us put the project to motion. We have the equipment and skilled warehouse team to handle kit assembly efficiently and cost effectively. From simple kits to more complex kits that include several components and many different suppliers, HJI can assemble all of the components into a kit and then fulfill those kits to a distribution list.